This uneven hem. I love the vintage look of these Paige jeans with the straight seams going down the front, and uneven hems at the bottom to give it some edge. I went classic here and paired them with a pair of simple stiletto boots and a silk navy blouse to let the jeans be the superstar here. 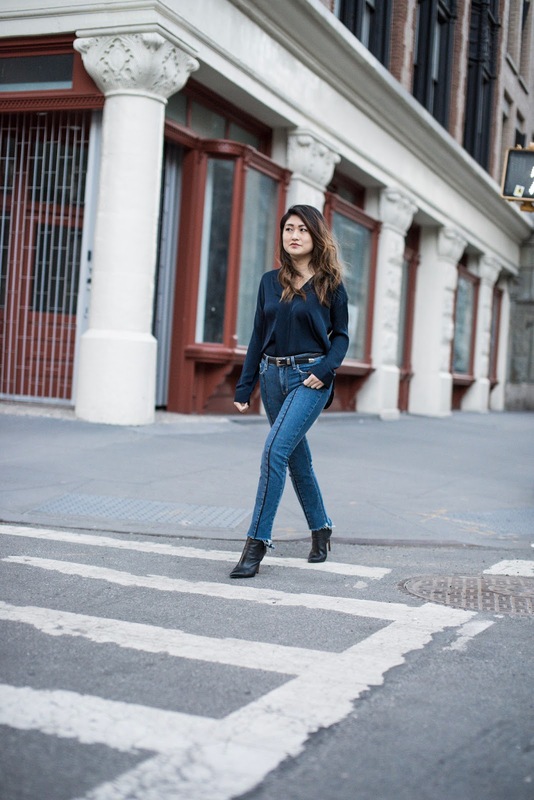 Have any of you invested in a pair of uneven hem jeans? If so, how did you pair them?